You are currently browsing the tag archive for the ‘deck design ideas’ tag. 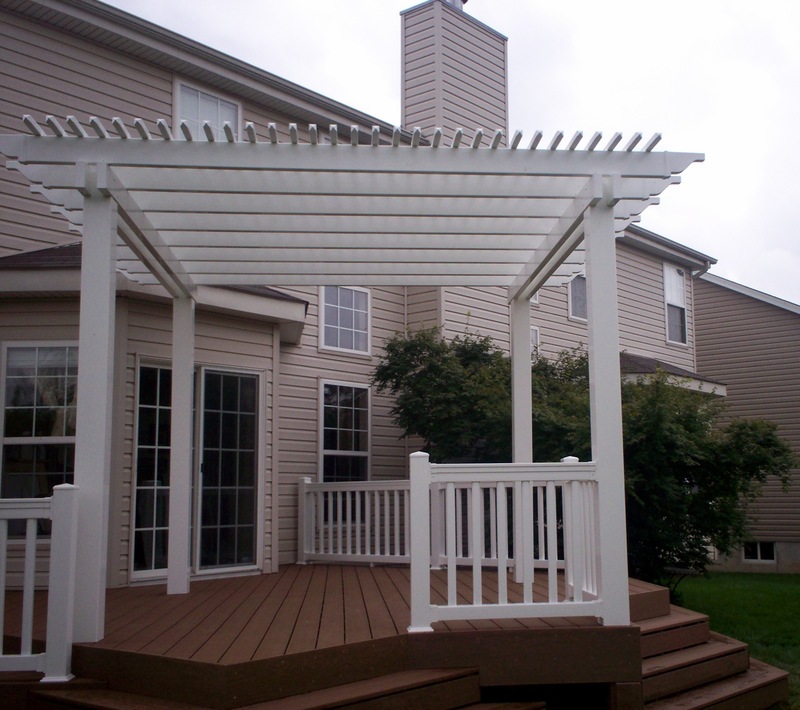 Ready to add a deck to your home and backyard? Want to go beyond a basic ‘builder-grade’ deck without excessive costs and complicated construction? You can you know! Jazzing-up an otherwise run-of-the-mill deck design is on the wish-list of most every homeowner. Customization can be accomplished with simple solutions such as lights, levels and landscaping as well as privacy and protection. Second in the series “Your Backyard Is A Blank Canvas,” let’s discuss decks. And not just any-ole-deck design but spectacular design variations — traditional or trendy, classic or contemporary, mainstream or modern– so that your deck can easily be one-of-a-kind and perfect for you. 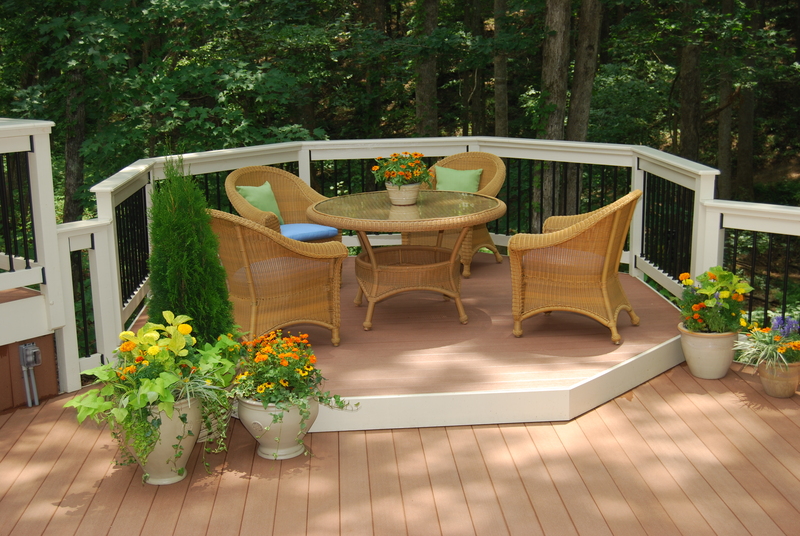 Using a few tricks-of-the-trade, an experienced contractor can jazz-up even a basic deck — all within your budget. 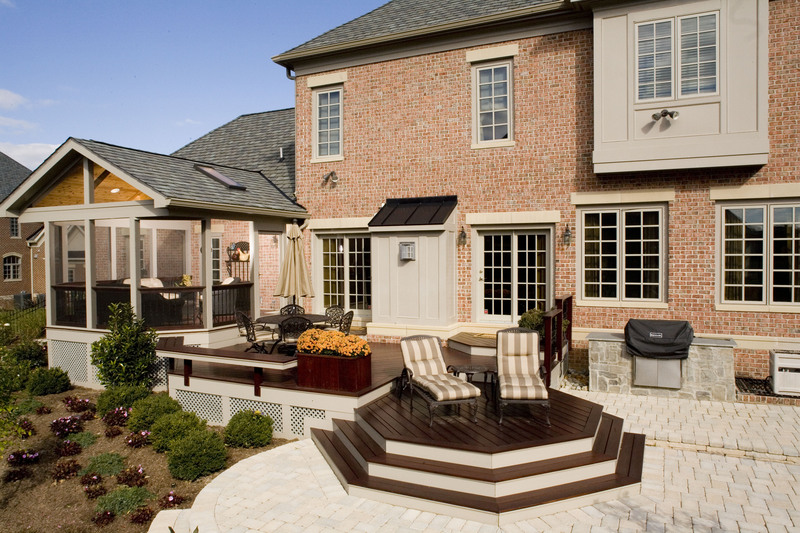 The trend to have an outdoor space that incorporates a combination of structures has become popular among St. Louis homeowners. A ‘combination project’ is a trend with staying power. 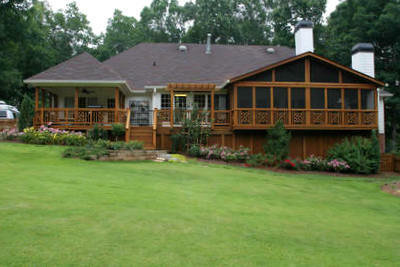 When a design includes a deck, screened porch and pergola, the space offers something for everyone. The sky’s the limit when it comes to adding architectural interest and function for custom deck designs by talented builders. 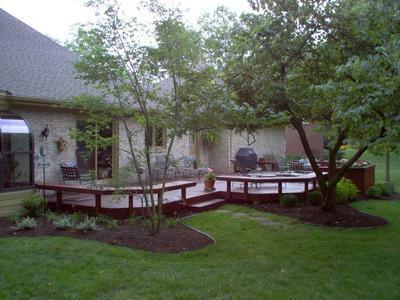 But much of a basic deck design is dictated by the layout of your existing home and backyard. And that’s where the pros can step-in with scads of ‘tricks-up-our-sleeve’ for impressive design features to enhance any outdoor space, whether it feels cramped or humongous, flat-as-a-pancake or craggy. Unique ‘design and build’ techniques will optimize a space, add a burst of backyard beauty and bring value to a home, no matter its original ‘blueprint’. Platform Decks are ‘flat-out’ fabulous. 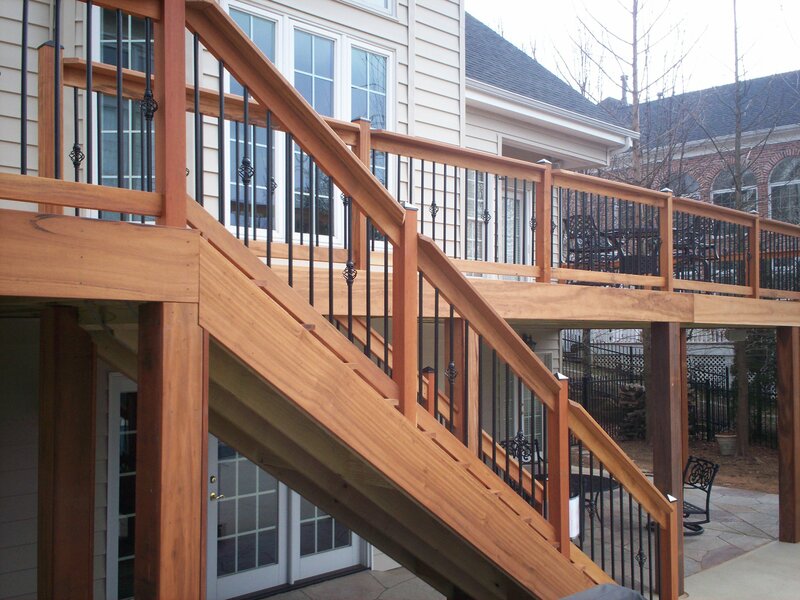 Experienced deck contractors can easily expand your living room, family room or breakfast room by opening-up the first floor of your home to a deck that stretches along parts of, or the entire back of your house. This type of deck is called a platform deck and can be constructed using wood, hardwood, composite or vinyl decking materials. Archadeck can extend your home’s livable space, from indoors to outdoors, by ‘opening-up’ your house with a platform deck across the back. Platform decks (or sometimes called patio decks) are constructed low-to-the-ground and can be built using wood, vinyl, or composite materials. They have a simpler design when compared to multilevel and two story decks; however platform decks by Archadeck are designed with oodles of creativity for a fabulous deck addition, customized especially for you.